Dutch Taylor, 92, passed away Monday, August 13, 2018 at his home in Graham. Visitation will be held Saturday, August 18, 2018 from 10 a.m. to 1 p.m. at the funeral home. Burial will follow at 4 p.m. in Albany Cemetery in Albany under the direction of Morrison Funeral Home. 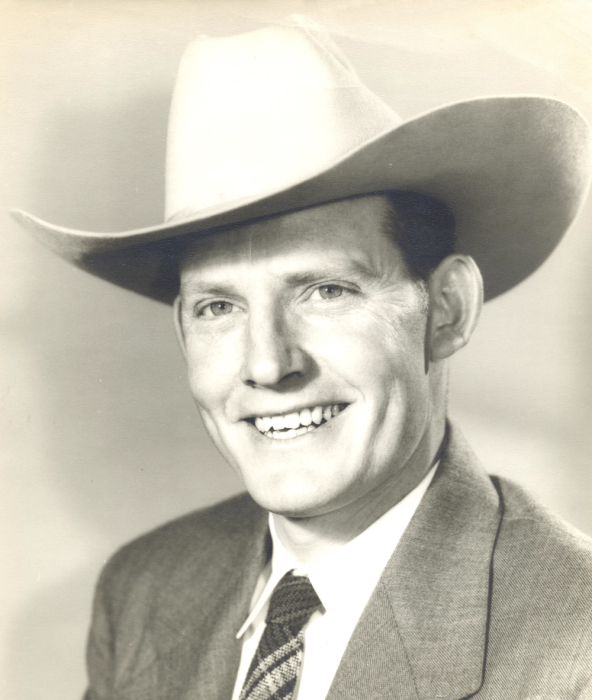 Dutch was born in 1925 to Pearl and Pitt Taylor near Fort Griffin. During World War II, he served in the Naval Air Rescue and was awarded the Air Medal. After the war he was a professional rodeo cowboy and rancher. Later in life he started his oilfield construction company. Dutch is preceded in death by his mother, father, sisters, brothers and his wife, Jerry Ann. He is survived by numerous nieces and nephews. The family suggests memorials be made to The National Cowgirl Museum and Hall of Fame, 1720 Gendy St., Fort Worth, Texas 76107 or The Humane Society of Young County, 120 Craig St., Graham, TX 76450.